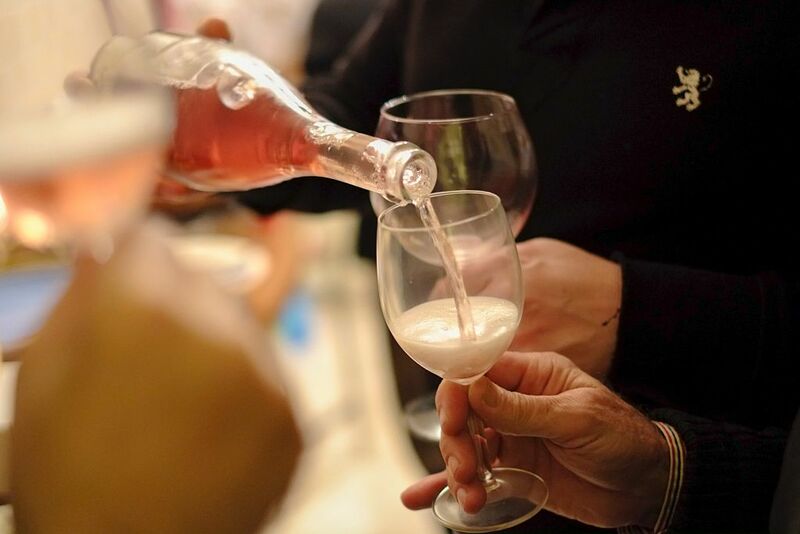 Smitten Ice Cream created a rosé flavor using Scribe Winery’s canned wine. Simply drinking rosé is so yesterday. These days, you can pour it into a blender, add some ice, and make a frosé. Or you can enjoy it in a gummy bear form. And now you can eat it with a spoon. Behold, perhaps the greatest rosé variation we have yet to encounter: rosé ice cream. The delectable summer treat, called Sonoma Rosé, comes from the great minds over at California’s Smitten Ice Cream, using Scribe Winery’s Una Lou Rosé, part of their line of four-pack canned wines. Una Lou Rosé, made from Pinot Noir grapes, has flavors of grapefruit, strawberry, and salt, according to the company's own description. Pastry chef Emily Luchetti, of Big Night Restaurant Group, collaborated with Smitten Ice Cream to create the boozy dessert. Sonoma Rosé ice cream makes its debut at the Mission location of Smitten Ice Cream, and will be on the menu at the new restaurant Petit Marlowe in San Francisco, a part of Big Night Restaurant Group. It will become available in Smitten stores, but don't expect it to stay in stock long. Don’t live in California? The ice cream will actually be available for purchase online here, and it ships nationwide. Last year, we named the ice cream at Smitten one of our top ten favorites. They use a liquid nitrogen to make the made-to-order ice cream fast – it takes just 90 seconds to produce one pint. Right now their seasonal flavors include blueberry lavender, Earl Grey, and cookie dough, and now of course, Sonoma Rosé. You'd probably have to eat a ton of Sonoma Rosé to get drunk, but that's why traditional wine exists. So next time you're at the beach or a barbecue, bring along a pint of the rosé ice cream, but don't forget to bring an actual bottle along, too.